If you’ve ever opened an electricity bill and been left opened-mouthed at the figure staring back at you, then you’ll be interested to learn about the fixed cost energy plan that takes away the shock, because you’re charged the same amount every time – no matter how much power you use So, is it really as good as it sounds? What is the Predictable Plan? The aptly-named ‘Predictable Plan’ from Origin Energy is something of a game-changer in Australia, as the first energy contract of its type that allows households to accurately manage their budgets, safe in the knowledge that they know exactly what they will pay for gas or electricity for the next 12 months. At a time when the energy market is flooded with different discounts and offers, it’s easy to get lost in the smog of confusing tariffs and charges, with no idea of whether you’re really getting a good deal or not. That’s why the Predictable Plan from Origin is so interesting, because it’s as close as any energy provider has come to offering a plan that is easy to understand and genuinely helpful. The most impressive thing about the Predictable Plan is that – after Origin has set your fortnightly or monthly payments – you will not be charged any more, regardless of how much you run the air conditioning or leave all the lights in your home switched on. There is also no lock-in contract and Origin promises not to charge you an exit fee should you leave. Who can get the Predictable Plan? 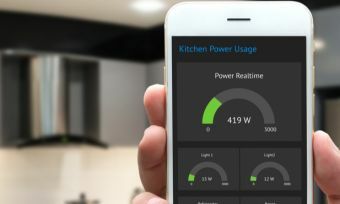 The Predictable Plan is available to existing Origin customers and customers of other energy providers with three months of recorded energy usage at their current address. How are the fixed prices calculated? Origin will review your energy usage from the previous three months in order to determine your fixed price for the next year. You will also be asked a few questions about your household and energy usage habits in order to determine an appropriate amount. You can decide to be billed fortnightly or monthly. Will you be charged more later on? Consumers have understandably become quite sceptical when it comes to energy companies because we’re always concerned about the small print and somehow being ripped off further down the track. That’s another reason why Origin’s Predictable Plan is a breath of fresh air, because we’re told there will be no nasty surprises at the end of your 12 month contract. So the fixed price you are given when you sign up really is all you’ll pay. Origin has told us that, should your energy usage be greater than expected during that first 12 months, the set price you pay over the next term is likely to go up. But that’s only if your energy usage has worked out more than anticipated. For example, if your fixed price was $100 per month ($1,200 for the year) but you actually used more like $120 worth of energy per month, then you can expect your fixed price over the next 12 months to reflect that. And that seems reasonable enough. Likewise you should expect your fixed price to go down should you use less energy than expected. However, good luck getting a fixed price of $75 per month, as used in the Origin promotion video below! Pros: What’s good about the Predictable Plan? It makes budgeting easier because your energy bills will not change from one billing period to the next. You can cool or heat your home as much as you want without having to worry about what it will cost you. There is no lock-in contract or exit fees, so if you think you’re paying too much, you can easily switch. Cons: What’s bad about the Predictable Plan? You might find the fixed price you are set is higher than you would like. You could use less energy than what has been predicted, but still need to pay for it. You must pay by direct debit to apply for the plan. The main concern about the Predictable Plan is that the fixed price you’re set could be a little higher than you’d like, but you could argue that it’s a price worth paying for the certainty of knowing exactly what your bill is each month. In that sense, you could think of it as like a fixed rate home loan. There’s no obligation to sign up after getting a quote, so why not give it a try. The benefits of the Predictable Plan seem to outweigh the negatives. Who doesn’t want to make budgeting easier and use energy at home without the fear of a shock bill? And most importantly of all, if you’re not happy with your plan, you can simply walk away.